Have you ever been to Anthropologie? I love that store. Although they have wonderful clothes, I go there to browse their unique cookbooks, and dishes. I purchase them for my blog posts or fun table settings. 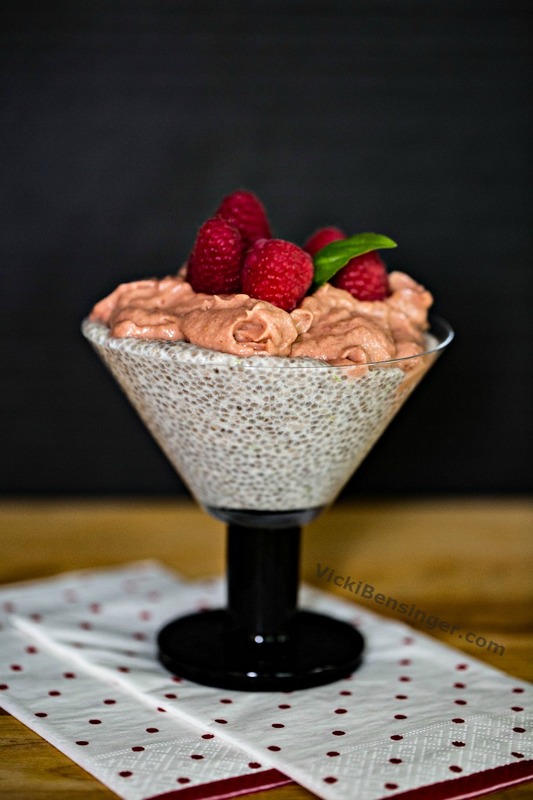 While browsing their cookbooks last week I spotted a recipe for Raspberry Mousse & Chia Parfait that looked amazing! Green Kitchen at Home is written by couple David Frenkiel & Luise Vindahl. David & Luise aren’t just authors of cookbooks, they have the blog Green Kitchen Stories. Their blog shares vegetarian recipes and captivating videos that tell a story with little to no words. 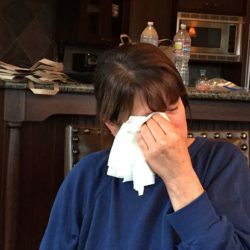 The videos are enjoyable to watch with Luise or David in the kitchen with their children. The music – so soothing in the background, reeled me right in. The finished dish is always stellar – creating the perfect ending! I wasn’t hired by Frenkiel and Vindahl nor are they aware I’m even writing this post. I love this book and everything about it. I can’t wait to try every recipe. Between the stunning photos and healthy ingredients, I feel refreshed just browsing the pages. I have to admit I’m a vegetarian at heart. Since my family has always preferred meat on a weekly basis I indulge as well, and enjoy it especially since we’re all together. That said, I almost never feel great after eating meat anymore, so prefer more plant based foods. 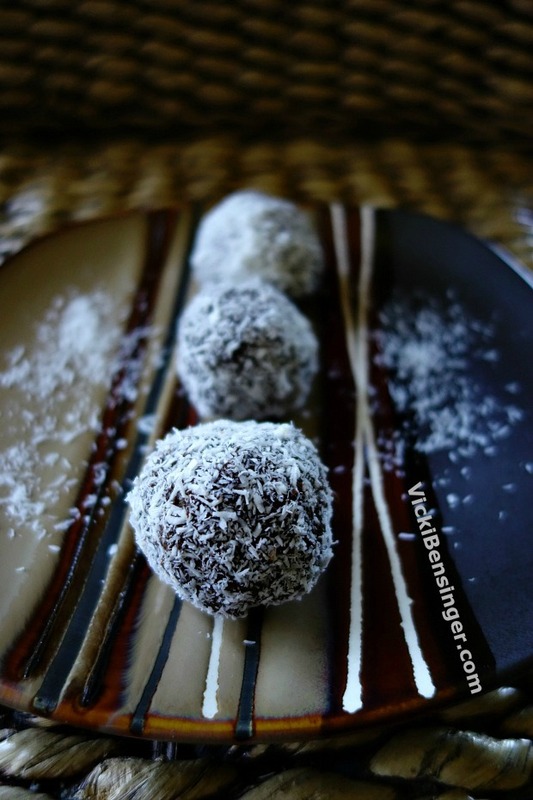 Do you recall the Chocolate Avocado Snowball Truffles I made last summer? The Raspberry Mousse ingredients reminded me of that recipe. I was skeptical when I made the truffles, but after tasting them was in awe. Avocados were the glue to the truffles as they are to this mousse. Before turning your nose up you’ve got to give this a try. The Chia pudding with lime juice and coconut milk is heavenly, as well. Combine the two, and you’ve got a perfect marriage! I have to say that my Raspberry Mousse did not have the same popping color as the photo in Green Kitchen at Home. I was slightly disappointed, until I tasted it. WOW, what flavor! I suppose raspberries in different parts of the world may vary in color. Plus, knowing how to digitally make them pop is an art, I haven’t quite mastered. 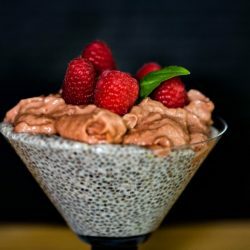 Whether you’re a vegetarian or not, or not a fan of avocado, I hope you’ll try this Raspberry Mousse & Chia Parfait recipe. Did you know Chia seeds are the best source of omega three fats on the market? Their high concentration of the plant-based omega-3 fat alpha-linolenic acid (ALA) is one of their major claims to fame. Chia seeds contain up to 40 percent oil, with 60 percent comprised of omega-3. While Chia seeds have a list of health benefits there is one word of caution! When adding them to liquid, allow adequate time for the seeds to absorb the liquid before ingesting them. You may recall in a previous post reading about a dangerous combination involving Chia seeds. Someone swallowed the Chia seeds straight from a tablespoon. They followed up with a glass of water to wash down the Chia seeds. That individual ended up in the ER, and fortunately lived to tell about it. The dry seeds when mixed with water started to swell in the persons esophagus, restricting their breathing. 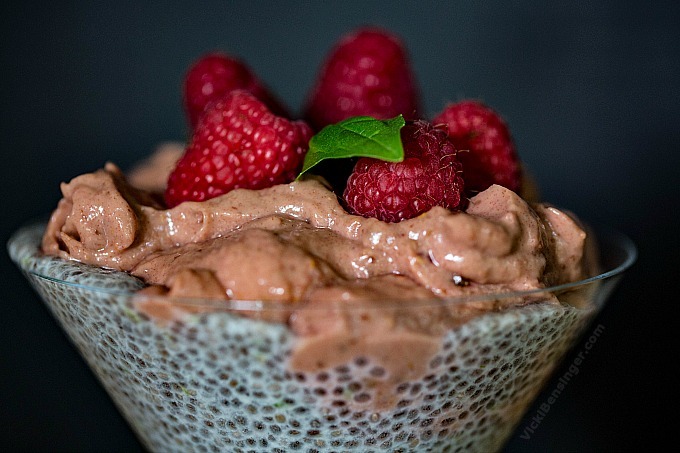 You can test this out by simply taking a narrow glass and adding Chia seeds. Then add water, and watch how quickly the seeds swell up, filling the opening in the glass. Quite scary! Always allow plenty of time for the Chia seeds to expand before ingesting. 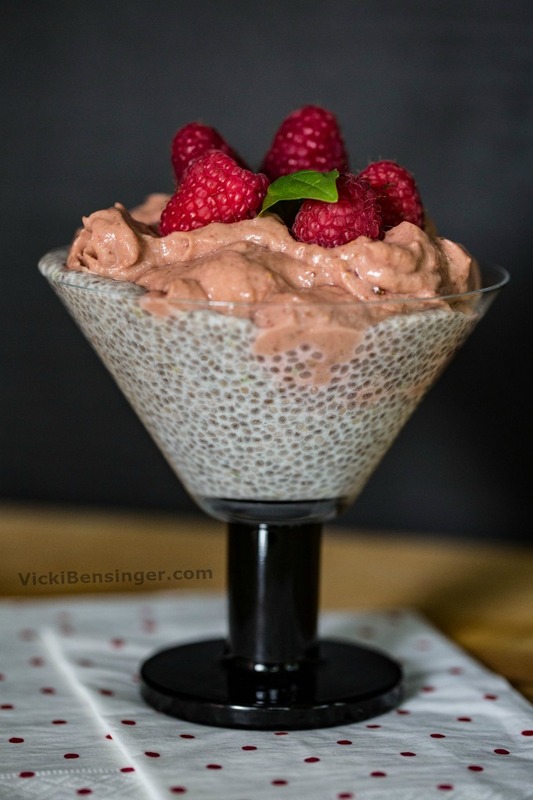 The recipe for Raspberry Mousse & Chia Parfait below can be combined as I did, or enjoyed separately as Raspberry Mousse or Chia Pudding. Alone the pudding can be topped with fresh fruit and granola or whatever your heart desires, and the same goes for the Raspberry Mousse. I’ll let you decide once you create your own Raspberry Mousse & Chia Parfait! Are you craving an amazing treat, but now that bathing suit season has arrived you're watching your figure? Look no further - this Raspberry Mousse & Chia Parfait is an unlikely combination, but creates a sensational and healthy treat that will wow your socks off! Add the lime zest and juice to the chia pudding and whisk until combined. Set aside while you prepare the raspberry mousse. Place raspberry mousse ingredients in blender and puree until smooth. Assemble: Spoon chia pudding into the base of two glasses and pour mousse on top. Serve: Top with a dollop of nut butter (if desired), fresh raspberries and a sprinkling of coconut. I only topped mine with the raspberries. If you can't find soft dates, soak dried dates in hot water for 20 minutes. 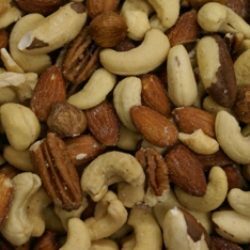 For a nut-free alternative, replace nut butter with a sunflower seed or pumpkin seed butter. I used to go to Anthropologie for clothes, but now I start in the housewares area. Always something fun. Love this healthy treat—especially since it’s raspberry!! I know same here. It’s a great store. Never been to that store! But I’m not a big shopper. Food shopping is the only shopping I really enjoy. And speaking of food, I’d love this! SO good. And pretty. Definitely a winner — thanks. Most guys I find aren’t big shoppers but they do have a fun kitchen area. Mrs. KR would love it I think. Glad you like this dish. 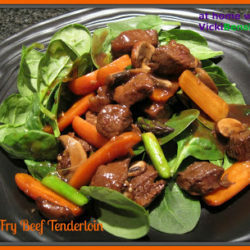 Delicious and so good for you too! Love the home department at Anthro! I’ve made instant preserves with chia seeds and use them in my smoothies also. Love their nutty taste. I can tell with my eyes that this parfait would taste wonderful! They do say you eat with your eyes first, so there you have it! I’ve never made preserves from Chia seeds but now I’m going to check your site to see what recipes you might have. Thanks for that. Enjoy your weekend. What a delicious combination Vicki, so many wonderful flavors! I feel like you can’t go wrong with raspberries (or Anthropologie)! So true, they’re both winners, IMO! What a yummy mousse it can be! I am sure that it will not spoil my figure. 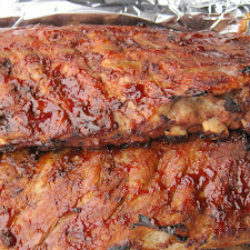 Moreover, I wanted to thank you for letting us print this recipe here.